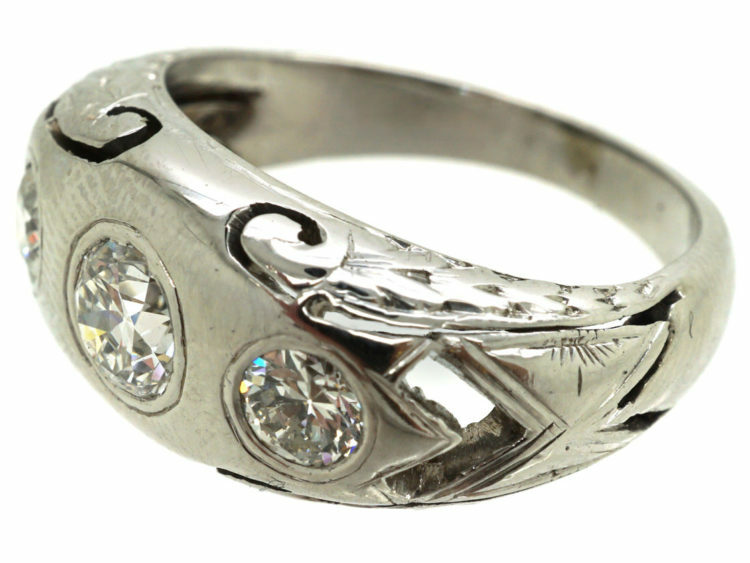 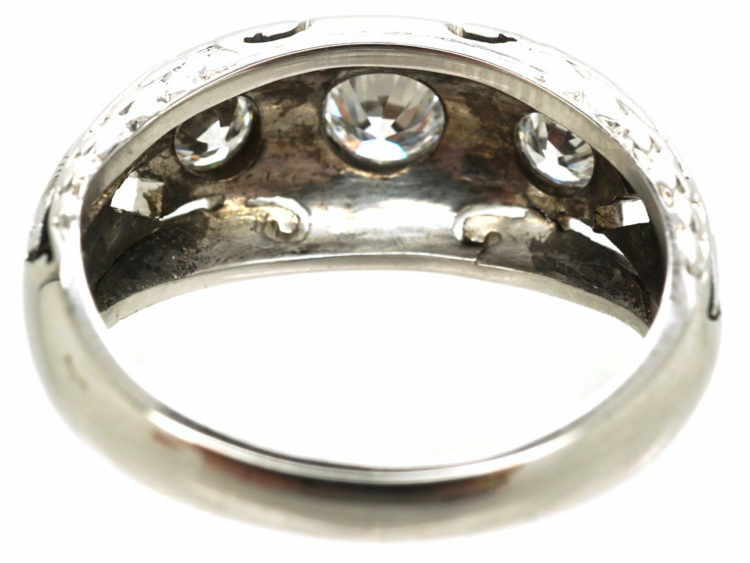 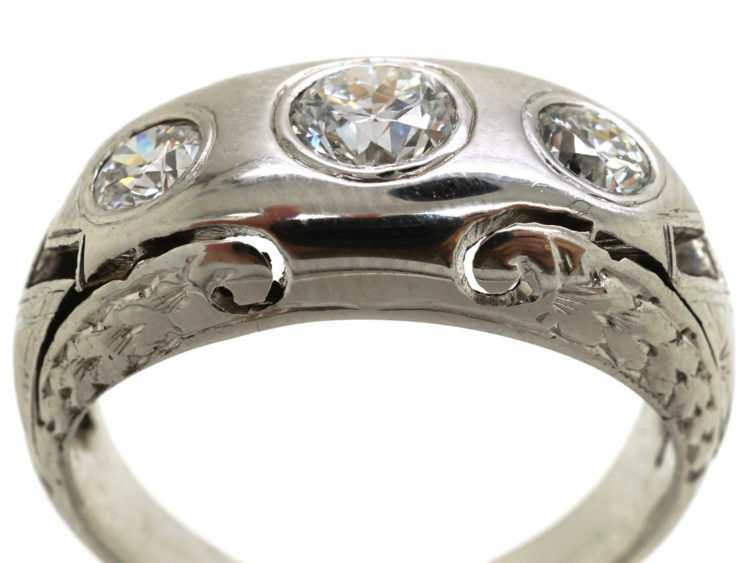 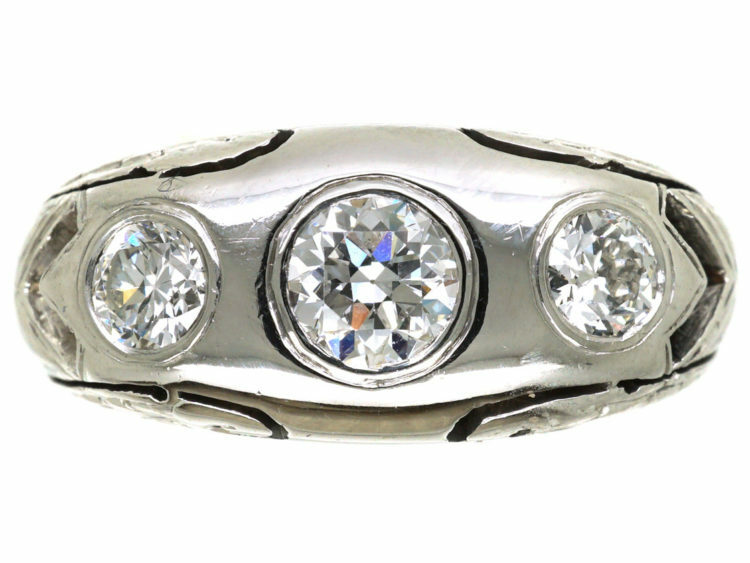 An unusual platinum ring that was made in the 1920s in Germany. 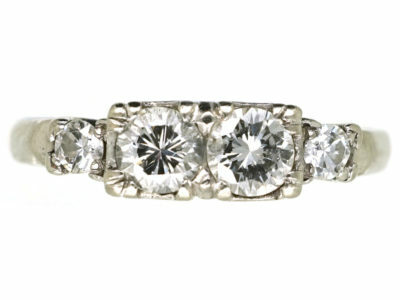 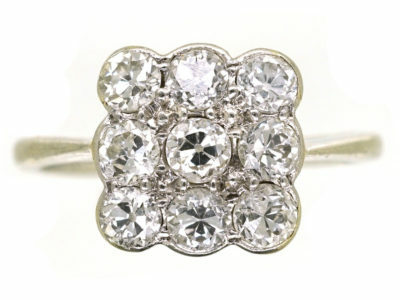 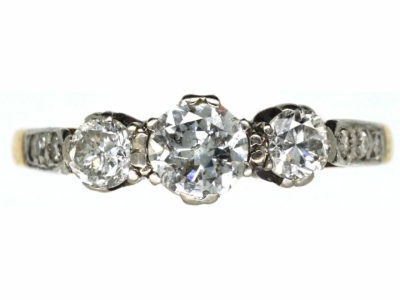 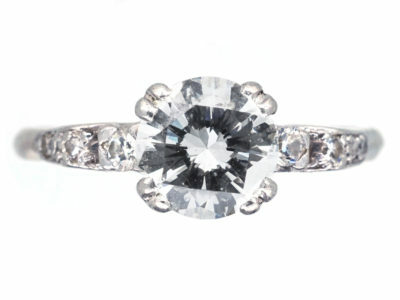 It has been set in rub over settings with three bright white diamonds with a total weight of just under one carat. 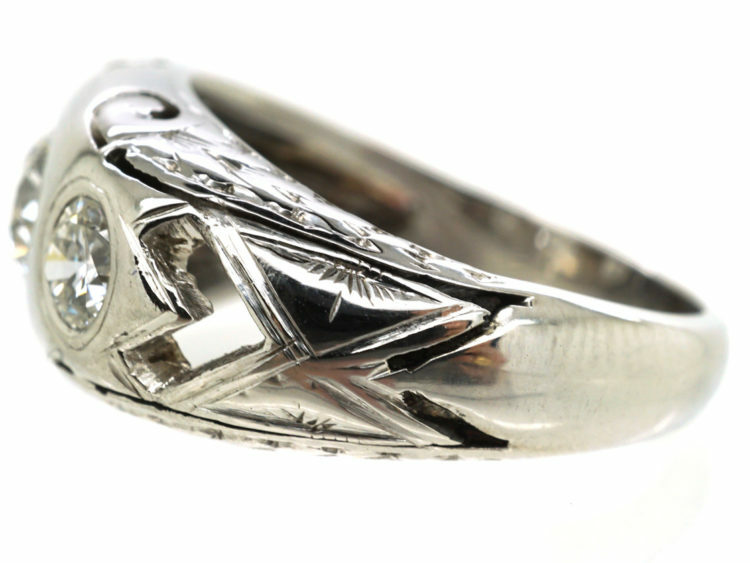 The shank has interesting laurel leaf decoration on the sides. 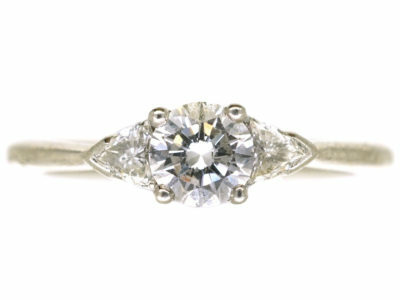 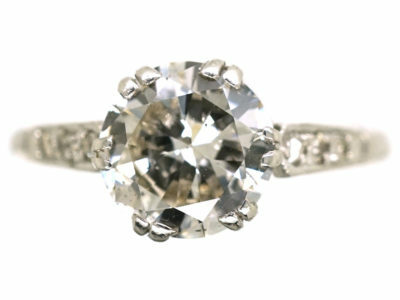 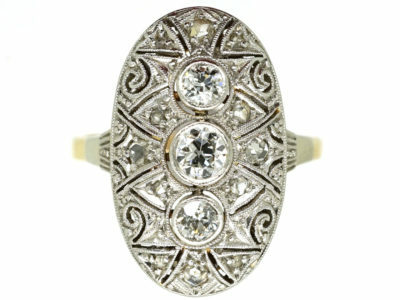 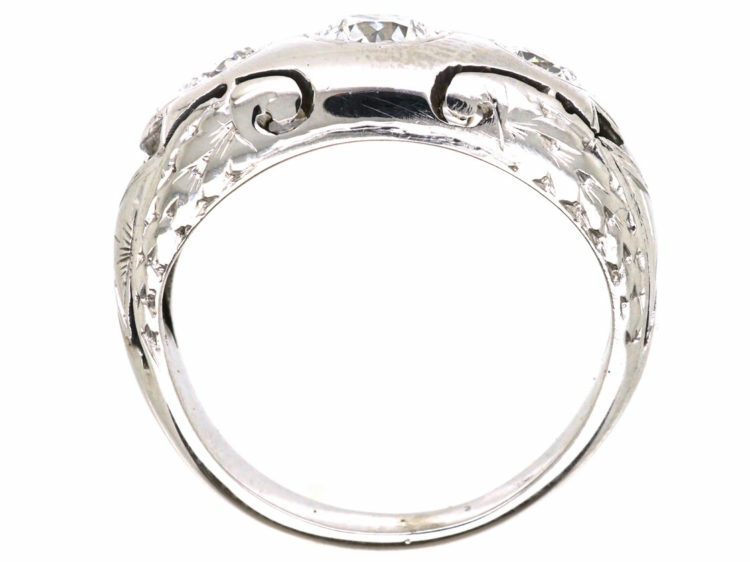 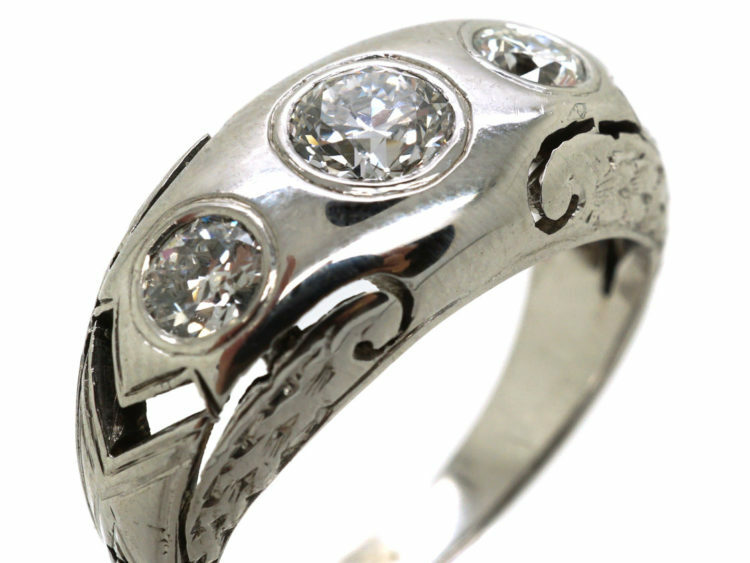 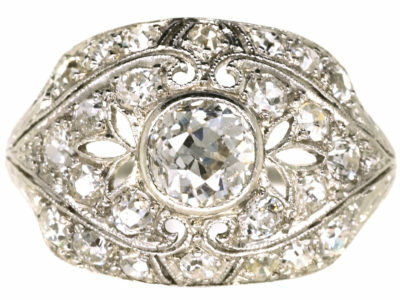 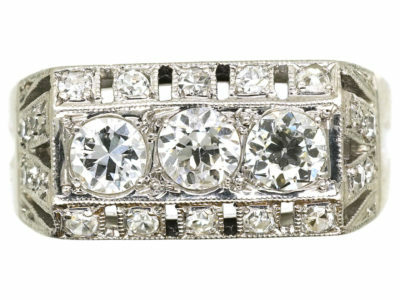 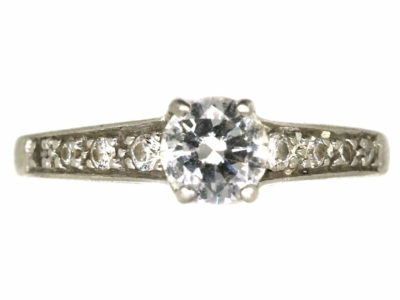 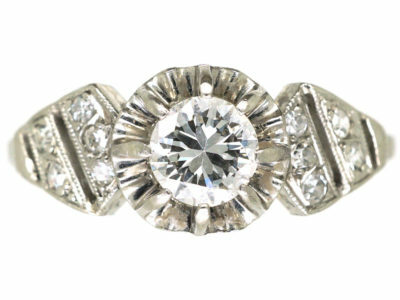 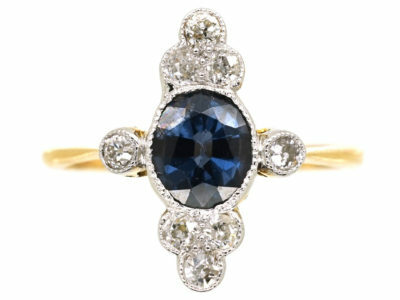 It would certainly be admired whether worn as a dress or as an engagement ring.